Mr. Arie Srugo actually knows the mixing and machinery business all his life due to the fact his father founded the mixing production firm Srugo Machines Eng. Ltd before he was born. In 1981 he jointed Srugo Machines Eng. Ltd, acting as the Chief Marketing Officer (CMO) of the firm until he was nominated as the CEO of the firm when his father, Mr. Jacob Srugo - the founder, passed away. Mr. Arie Srugo acted as the CEO and CMO for more than 30 years and is known as one of the most experienced and professional expert in the field of Mixing and other Processing Equipment. 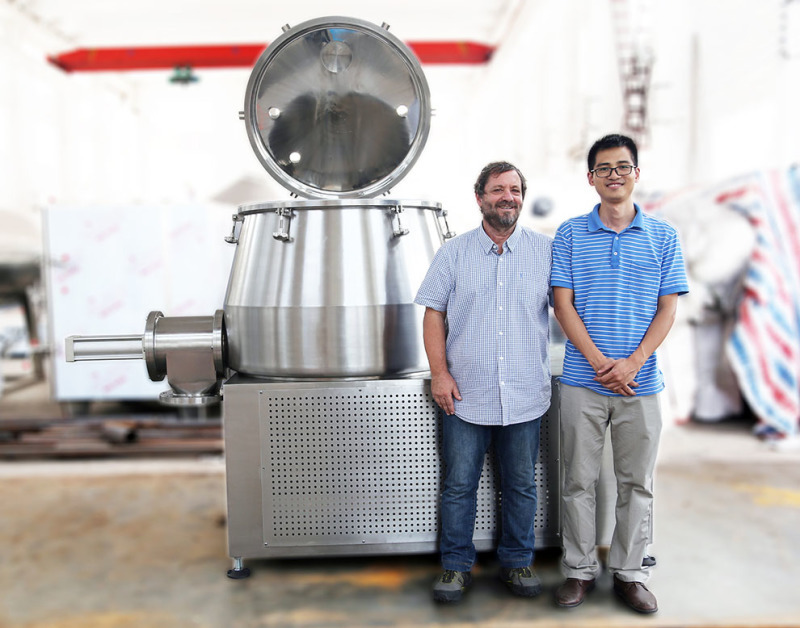 Mr. Aaron Huang has been involved in the mixing industry since 2008 with the beginning specific filed of liquid homogenizing, dispersing, etc, and then got know the powder mixing technology from Mr. Arie Srugo when they knew each other in 2010. With a background of Science & Engineering in the university, he is a fast learner in the product know-how, and his good communication skill in both Chinese and English distinguishes him which is also the reason Mr. Arie Srugo chose to work with him.